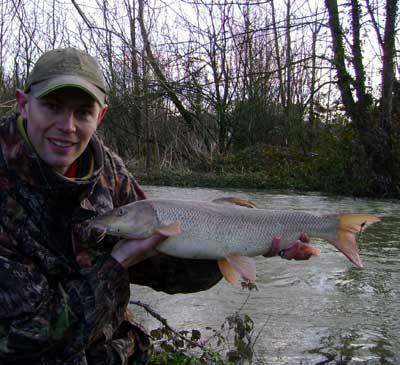 7lb 3oz Windrush Barbel, caught in severe flood conditions on a home-made paste bait. Still plenty of barbel in the Windrush! !